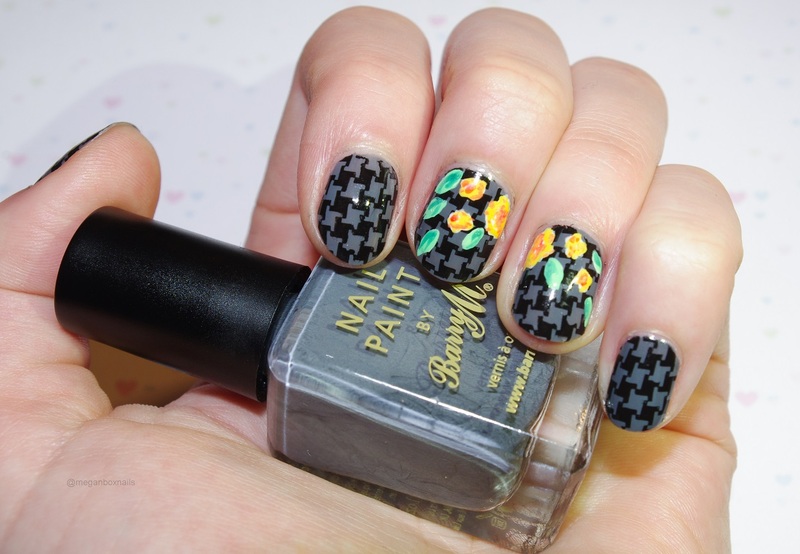 Hello, I am back with nail art, finally! 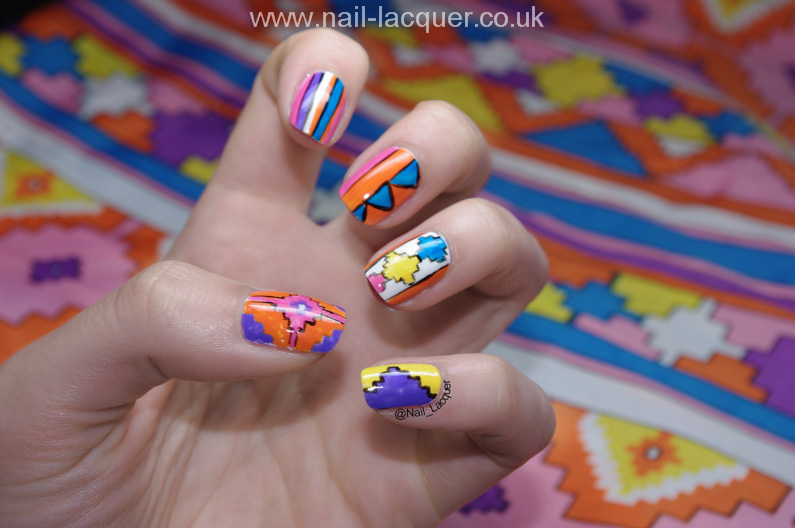 I have been looking forward to concentrate on nail art again and I have been inspired by the gorgeous aztec pattern skirt I bought from Primark for only £5. I thinks it’s a beach skirt as I saw some bikini tops and bottoms with the same pattern, however I didn’t buy any. 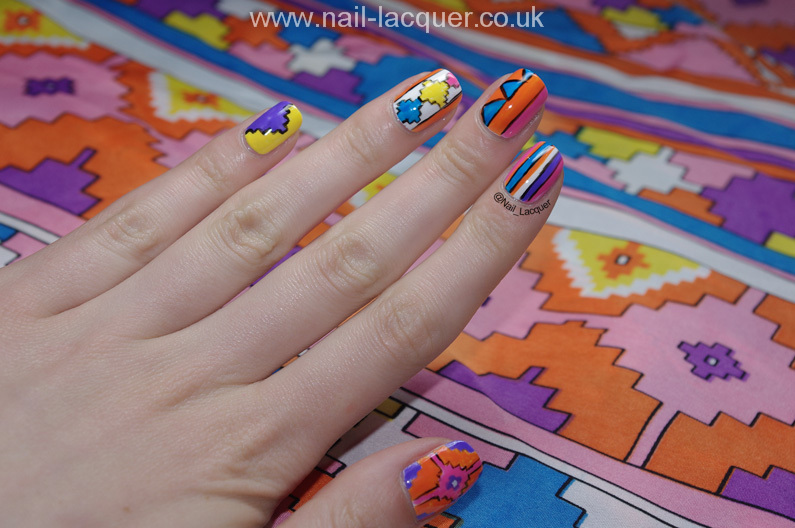 I photographed the aztec nail art having the skirt as a background so you can see both of the patterns. 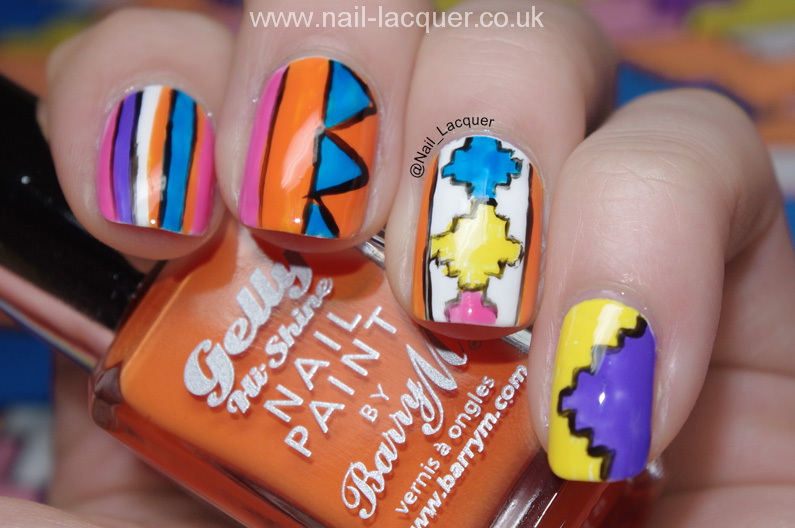 I used almost too many polishes to list, however you can recognize me holding the recently reviewed Barry M Mango. The white base is my all time favorite white Sinful Colors- Snow Me White. Yellow, blue and purple were Color Club’s Almost Famous/ Chelsea Girl/ Pucci-Licious from Poptastic Collection. Pink is Rimmel Lasting Finish Pro Baby Pink and black L.A. Colors Black Velvet. I think that all the colors worked together marvelously. For the ring finger I decided to go with a simple stripe pattern and I continued til the middle finger. 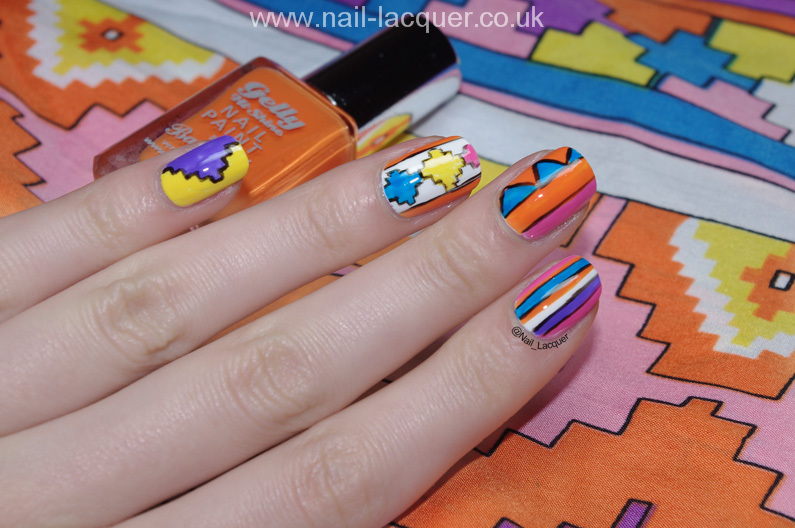 I added some blue triangles and moved to some more difficult (and prettier!) patterns. My favorite is the ring finger, which one is yours? January 26, 2014 By A.J. April 15, 2013 By A.J.